Project Fi, Google's own mobile virtual network operator (MVNO), is adding three new Android Oreo smartphones to its portfolio - two expensive models made by LG, and a pretty cheap third one coming from Motorola. 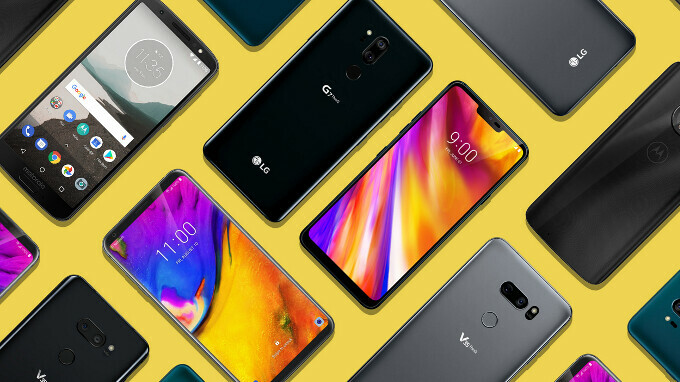 The two expensive handsets that'll soon be available on Project Fi are the LG V35 ThinQ (announced earlier today) and the G7 ThinQ. Both will be sold starting June, costing $899 and $749, respectively. These prices are similar to those that you'll find in other places - the G7 ThinQ is offered by Verizon, T-Mobile, and Sprint, while the V35 ThinQ will be sold by AT&T. As for Project Fi's new cheap smartphone, this is the Motorola Moto G6 (already available on Verizon Wireless, as well as unlocked). Google is taking $50 off the Moto G6, thus offering it for the low price of $199. The G6 can be pre-ordered as of today, and will likely be released sometime in June. With these three new devices, Project Fi will have a total of six smartphones in its lineup, as it's already selling the Google Pixel 2, Google Pixel 2 XL, and Motorola Moto X4. In case you didn't know, Project Fi relies on LTE (from T-Mobile, Sprint, and US Cellular) and Wi-Fi hotspots to provide voice and data services. Its unlimited plan costs $80 per month, and you can use data at no extra cost even when you're abroad. You can find out more about Project Fi's plans and smartphones at the source links below. I wonder if they will add the Q series to Fi. Probably not.